What is a Rent-to-Own Option Fee? An "option fee" in the rent-to-own home contract is a fee you pay in order to secure an option to purchase the home at the end of the lease. This is what differentiates a lease purchase from a lease option. 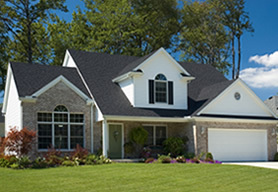 In a lease purchase you are obligated to purchase the home at the end of the lease. In a lease option you will have the choice to buy the home without the fear of legal recourse from the seller if you decide not to purchase. Option fees can vary from lease to lease. A typical option fee is anywhere from 1 to 5 percent of the purchase of the home. Depending on the contract option fees along with a rent premium are both applied towards the purchase of the home at the end of the lease and act as a form of down payment. The good news is that almost all of the contract items are negotiable. This includes the lease period length, option fee amount, rent, rent premium, purchase price. So make sure you negotiate the best contract possible to position yourself to buy the home at the end of the lease. Option fees and rent premiums are the most important areas to negotiate if you to pay less money towards a down payment. Sellers view the option fee as a safety net in case the home doesn't sell after the lease period. As the buyer, you would view the option fee as equity towards a lower down payment. Balancing the option fee during negotiations is very important to ensure that both parties are happy with the amount and it's the best way to ensure the home will sell. In addition, the option fee can be used as a bargaining tool for the purchase price, since the option fee is based on the purchase price. Paying the option fee at the start of the lease locks in price of the home, this can make a significant difference if the market is on an upward trend and 2 or 3 after signing the lease the prices gone up dramatically. This could potentially help you find a home in a good neighborhood at a relatively lower price.